Take that, curse! The Chicago Cubs made history on Wednesday, November 2, when they beat the Cleveland Indians 8-7 in extra innings to win their first World Series title in over a century. Watch the video above to see the winning moment! Both teams put up one heck of a fight all night. The Cubs took an early lead in the top of the first inning on a home run by Dexter Fowler, only to have the Indians tie it up two innings later. But they reclaimed the lead with a total of five runs — including homers by Javier Baez and David Ross — in the fourth, fifth and sixth innings. Things took a turn in the bottom of the eighth, though, when Cleveland, trailing 6-3 and down to their last four outs, tied the game with a double and a home run off of closer Aroldis Chapman. When neither team scored in the ninth, the game went to extra innings — but first fans had to suffer through a rain delay. Play resumed around 12:15 a.m. ET, and the Cubs wasted no time making the first move. After Kyle Schwarber singled to get on base, an intentional walk pushed pinch runner Albert Almora Jr. to second, and Ben Zobrist doubled him home to make the score 7-6. Indians pitcher Bryan Shaw intentionally walked Addison Russell to load the bases, paving the way for Miguel Montero&apos;s RBI single in the next at-bat. With an 8-6 lead going into the bottom of the 10th, the Cubs brought in Carl Edwards Jr., who struck out Mike Napoli and got Jose Ramirez to ground out before walking Brandon Guyer. Rajai Davis, who hit the game-tying home run two innings earlier, made it a one-run game with an RBI single, but reliever Mike Montgomery got Michael Martinez out on two pitches. Just a few days ago, this outcome seemed almost impossible. After losing three of their first four games against the Indians, the Cubs were one game from elimination and facing near-insurmountable odds. Only five teams in MLB history had come back from a 3-1 deficit in the Fall Classic. After the final out of the series, Cubs fans all over the country celebrated both at the game and on social media. See some of their reactions below! 108 years is a long time to wait. 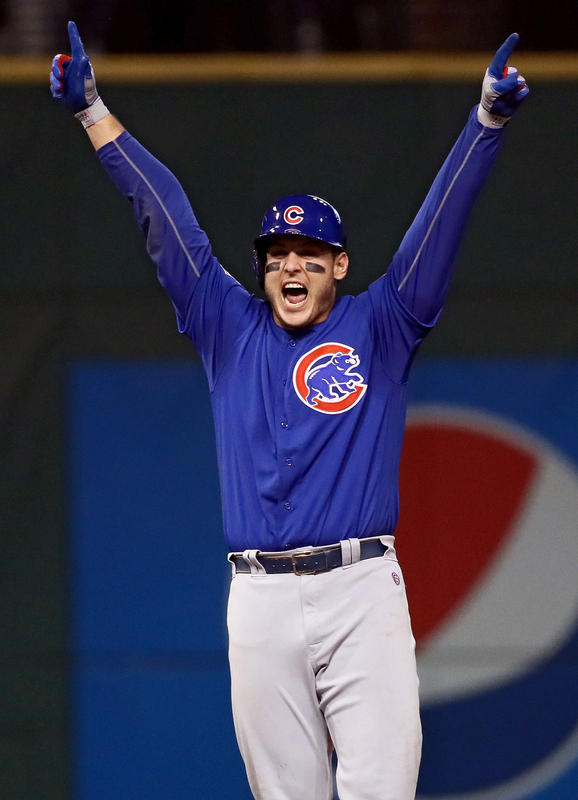 I'm happy for #Cubs fans. I'm happy for baseball.